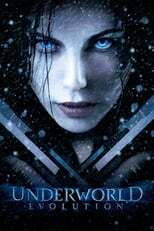 Alexander Corvinus: Soon you'll be drowning in Lycans, just like before. Marcus: Oh, not Lycans father ... or vampires. A new race, created in the image of their maker... their new god. Me. And the true god has no father. Alexander Corvinus: You are asking me to help you kill my son? You? A Death Dealer? How many innocents have you slain in your six-century quest to avenge your family? Spare me your self-righteous declarations; you are no different from Marcus and even less noble than William. At least he cannot control his savagery. Selene: Anything I've done can be laid at your feet. Hundreds of thousands have died because of your inability to accept that your sons are monsters, that they create monsters! You could have stopped all of this. Kraven: My lord, I can explain. Marcus: Why would I listen to your lies, when the journey to the truth is so much sweeter? Michael: Kraven may still have his men with him. You're not going alone. Selene: He's not as strong as you might think. Selene: Michael, you're unique. There has never been a Hybrid before. Not to be ambivalent about it, but the truth is your powers could be limitless. You depend on blood. Selene: You need to feed. Without it, you'll be growing weaker by the second. Use the time for that. Michael: What if I don't? What if I can't? Selene: Normal food could be lethal. If you don't anticipate your cravings, you will attack humans... and believe me, you don't want that on your conscience. There really is no going back, Michael. I'm sorry. Selene: How long have you been in the business of killing your own kind? Tanis: I've done what's necessary to survive. My decision was made easy the day your precious Viktor betrayed me. Selene: Betrayal was something he did very well. For 6 centuries I was a loyal soldier of the Vampire clan. But I was betrayed. For centuries I have stood by and watched the havoc my sons have brought upon each other and upon humanity.Not the legacy I prayed for the morning I watched them enter this world. Some history is based on truth and others on deception. What is thy will my lord? The blood memories of this wretched creature have shown me that your treachery knows no bounds. Yet again we arrived to witness this monster's aftermath. Your sympathy for this beast is foolish your brother is entirely beyond control.